You all know my obsession with Umi Shoes by now. I receive a pair each season for one of my children and we use these shoes until they no longer fit. They are wonderful quality and last us a long time! They are just a little bit big, but not so big that they slip off her so these will be perfect for this summer. Every time we go to the park and Avery wears sandals she gets woodchips in her shoes. This will prevent that while still being lightweight enough that he feet won't sweat to death in them. We got them in a 30 which is equivalent to a size 12 which is what Avery wears so they are pretty dead on size wise. I do think overall Umi tends to run a LITTLE bit though (like 1/2 size typically), but that just means we'll get more use out of them! I love that we went with something different from the standard girl pinks/purples. 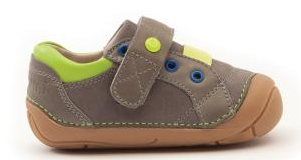 I love these shoes and Avery has plenty of blue/green to wear them with. And I like that they're sturdy enough unlike little flip flops. These will definitely get plenty of use and I know they'll last us all summer and into fall for sure! 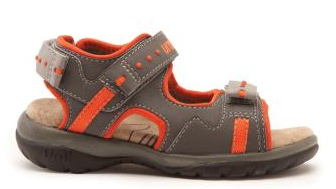 Umi has so many adorable new shoes for spring for boys, girls and baby! Price: The Tala that we received are $40 and the Weelie that we got for Emerson are $58. These are 2 sizes too big so they're either fit him for fall or next spring! For the Gearing Up for Baby Hop, Umi is offering one reader a $60 certificate!! Giveaway goes live on Monday the 15th!